We are currently hiring for the following positions for the 2018 season and beyond. Rolling applications - positions are all open until filled. Please scroll down for complete job descriptions. Farm Team Member - FT/Seasonal - Experience preferred, but not required. Farm Shop Sales - PT/Seasonal - Customer Service experience preferred. Seasonal: March-November, possible additional work in the "off-season". Career: This position offers opportunities for advancement and growth for the right individual. A multi-year commitment is preferred. We are looking for individuals with production farm experience and proficiency operating a mix of farm machinery. Work with the management team to implement the farm’s production plans in the field, from field preparation and seeding to cultivation and harvesting. Aside from field tractor work, round out time helping with harvests, leading field crews, and assisting with the general process of the farm. You are a key member of the production team and will be doing all sorts of farm related tasks. You work closely with the owner/farmer on field production, irrigation, repair projects, greenhouse care, weeding and much more! • Practical experience and knowledge of vegetable growing systems and understanding of the field production process for organic crops will be helpful to understand detailed farm plans and practices. • Experience working with a team and managing a group successfully. • Ability to jump in to help in other areas of an organic vegetable farm as needed. • Mechanical experience a plus. • Must be extremely responsible, self-motivated and capable of handling complex instructions. • Must have a clean driver’s license and be capable of handling physically demanding work. • The farm is a smoke-free, drug-free environment. Compensation: Starting pay $17+/hour based on experience. Housing is not included. Employees who return for multiple seasons will receive an annual performance-based raise. Apply: Please detail previous machinery experience, including crops and methods, in your application. Seasonal: April-November, possible additional work in the "off-season". We’re looking for an all-around amazing individual to join our team this season with the potential for future growth on our farm. 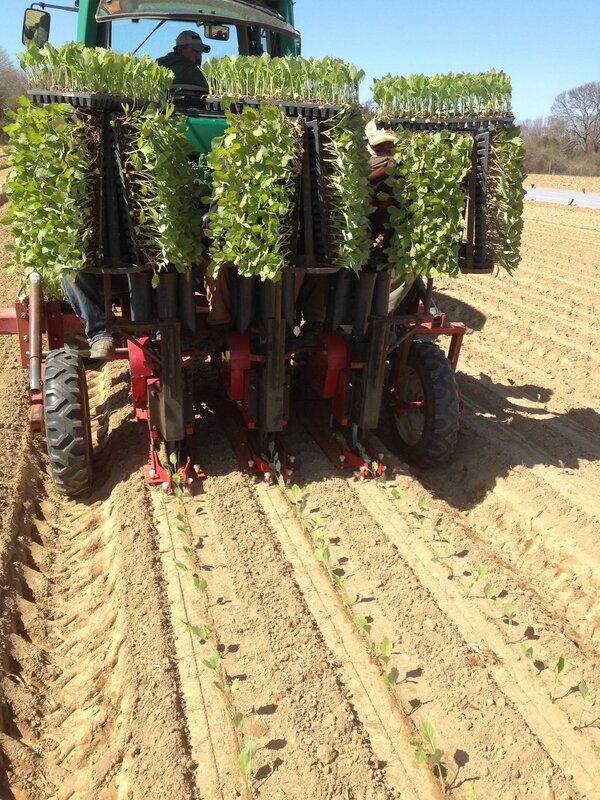 This diverse position blends field crew work (harvesting, transplanting, irrigation), transportation (driving our crew van and/or box truck short distances) and customer service/CSA member interface in our farm shop and markets. Hours/Commitment: This is a full-time, seasonal position running from late April through late November. 40-50 hours/week during the growing season. Candidates must commit to working a minimum of 5 full days a week which must include both Fridays and Saturdays. - is self-motivated and able to work quickly and efficiently. - is positive, enthusiastic and pays close attention to detail. - has customer service experience and excellent communication skills. - is able to repeatedly and easily lift 50 lb boxes to waist height. Aspects of the position are physically demanding and candidates must be capable of working for extended periods of time performing repetitive work in the fields in all weather, temperature extremes and precipitation. Previous experience working on a farm is preferred, but not required. Must be passionate about farming and local, organic food production! Compensation: Starting pay $12-13/hour based on experience. Employees who return for multiple seasons will receive a performance-based raise. Housing is not included. APPLY: E-mail info@goldenearthworm.com with your cover letter, resume and 2 job references. If we feel that you are a good fit we will invite you out for a farm visit and interview and/or a trial work day.